Strengthening your core muscles doesn't have to be overwhelming. You can do these simple exercises anywhere and adapt them as you gain fitness. The following routine is a great way to ease into core work. You can do these four exercises at work, without your colleagues being any the wiser. You can do these exercises at home, too, thanks to simple variations. The front plank, for example, can be done while either leaning on your desk or using the kitchen counter to support your weight. Equipment needed: Desk (a table or countertop is also fine), exercise mat, and sturdy chair. 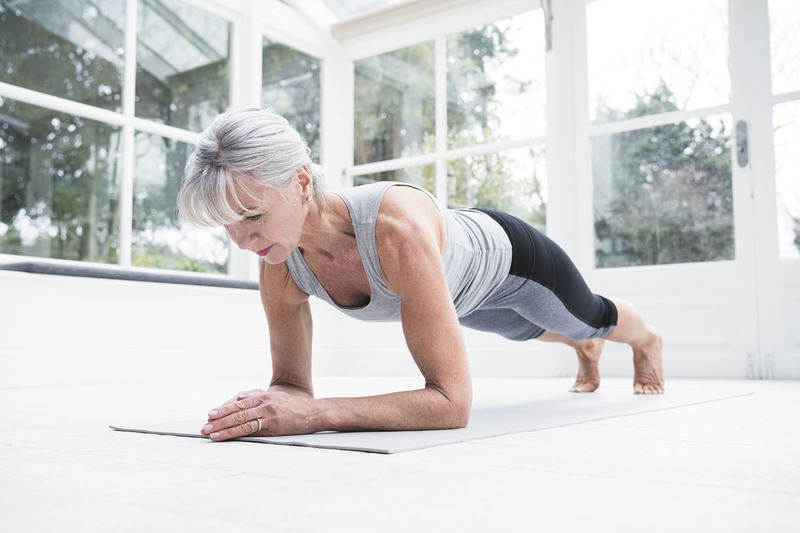 To learn more about building a strong core, read Gentle Core Exercises, a Special Health Report from Harvard Medical School.